Of these materials, solid surfaces have remained a permanent fixture in the mid-range of countertop options for over half a century. Solid surface countertops are a mixture of resin (plastic) and natural minerals. As this article explains, the “natural minerals” is actually a mineral dust, usually of marble. The minerals and resin are combined with various pigments to create a certain effect. 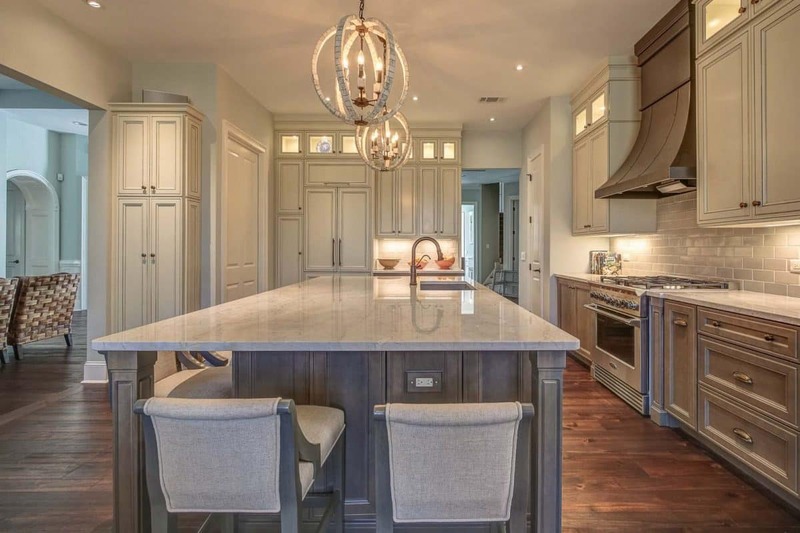 Because of its location under the massive umbrella of engineered stone, solid surfaces can be customized to fit almost every whim of the homeowner. Although the term seems kind of illusive and all-encompassing, solid surface usually refers to a brand called Corian, originally designed by the company DuPont. 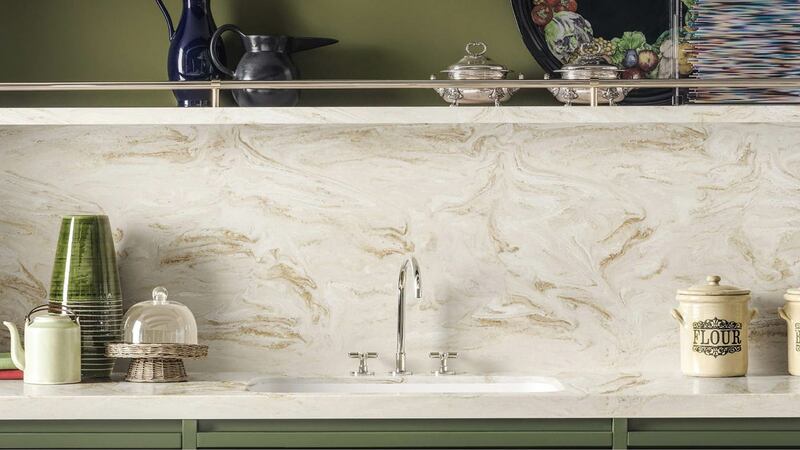 For individuals who want the look and beauty of natural stone without the cost or maintenance but also want something above plain laminate should heavily consider solid surface countertops. Solid surface countertop seams are formed with an adhesive that creates such tight lines that they’re basically invisible. In comparison, natural stone has covered seams, but they’re still largely visible. So, solid surface wins (hands down!) in this category due to its makeup. This also means that dirt and bacteria can’t get trapped in any nooks and crannies. Scratch or heat mark? Easy to fix with a bit of elbow grease. If a corner of the countertop gets severely damaged, a professional can come and mold it back into place or adhere a new part. Solid surfaces are as non-porous as you can find in countertop material. 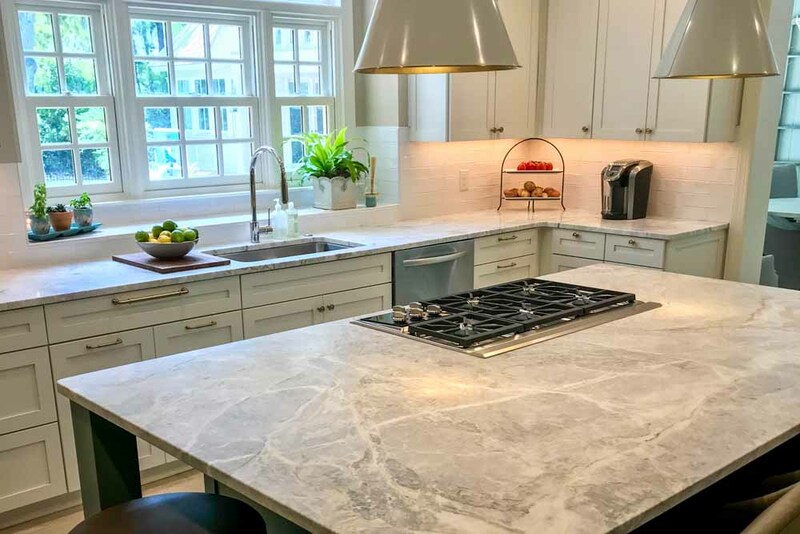 Despite all that it has to offer, it’s also important to keep in mind some of the drawbacks of solid surface countertops, all of which are quite easy to work around. It is highly recommended that you not place glowing red pots and pans directly onto your solid surface countertop. This is an easy “drawback” to deal with: Simply use hot plates. However, as these countertops are easy to repair, in the event of damage, a good sanding plus some re-polish could fix it. Cutting an apple on a solid surface countertop will probably, most likely leave a mark. (We suggest investing in a cutting board.) But, once again, mistakes happen, and luckily, these mistakes can be buffed out. Are you building a new house or renovating your kitchen and want to learn more about your options for backsplashes and countertops? 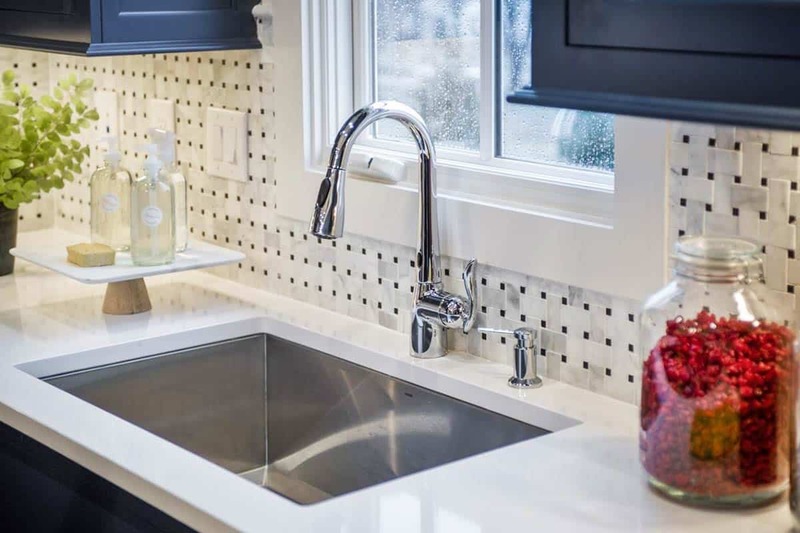 MultiStone has a wide number of styles and our countertop experts can help design and install the perfect backsplash and countertop for your kitchen or bathroom.